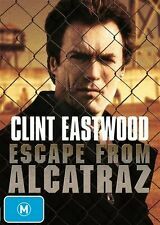 Firefox - Clint Eastwood - Action DVD R4 New! IF YOU DO EXPERIENCE ANY PROBLEMS WITH OUR EX-RENTAL DVD OR BLU-RAY DISCS, WE ARE HERE TO HELP & TROUBLESHOOT YOUR PROBLEM. (b)15 years of age or older, where you Order products that are classified MA15 . Trending at AU $6.74eBay determines this price through a machine-learned model of the product's sale prices within the last 90 days. Don Siegel directs one of the best police thrillers ever made. Actors: Clint Eastwood. Directors: Clint Eastwood. 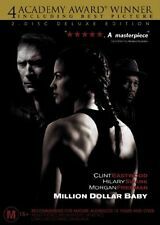 Producers: Clint Eastwood. We always resolve issues swiftly & fairly. It works on all Australian DVD players. 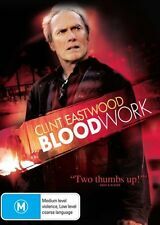 Product: Clint Eastwood Collection [DVD]. Region: Region 4. Format: DVD. What do I do?. Yes you can. Apologies, our mistake! Zoom Online. Colour: Colour. REGION 4 AUSTRALIA AND NEW ZEALAND ONLY. 2 Film Collection - Clint Eastwood. United States residents You require a Multi Region DVD player to view this. This is an AUTHENTIC STUDIO RELEASE and is Dual Region Coded 2 & 4. Every Which Way But Loose / Any Which Way You Can. All our DVDs are generally in PAL format and Region 4/R4 and will work in all Australian & New Zealand DVD players. NEW & SEALED R4 DVD. DVD Compatibility. CLINT EASTWOOD COLLECTION 8 FILMS DELUXE COLLECTOR'S DVD BOX SET R4 "NEW&SEALED"
Clint Eastwood Collection (8 Discs Deluxe Collector's Box Set). Director: Clint Eastwood, John Sturges & Don Siegel. 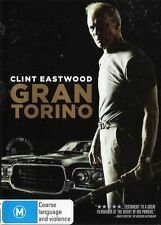 A box set featuring many of Clint's finest movies from the Universal stable. This DVD set is dual coded R2/4 PAL playback, therefore you will be able to play it in any Australian DVD player. Butch Haynes (Kevin Costner) is a convict who has escaped from a Texas jail halfway through a life sentence. Eastwood also directs. Region / Zone: 2 4. Region Information. Quick links. BROWSE ALL CATEGORIES. REGION 4 AUSTRALIA & NEW ZEALAND ONLY. The Mule (2019) "Nobody Runs Forever". Clint Eastwood. Earl Stone. He does well—so well, in fact, that his cargo increases exponentially, and Earl is assigned a handler. But he isn’t the only one keeping tabs on Earl; the mysterious new drug mule has also hit the radar of hard-charging DEA agent Colin Bates. COOGAN'S BLUFF. This is a Dual Region 2 & 4 DVD (U.K / AUSTRALIA). Compatible with all DVD players in AUSTRALIA. Starman_dvds specialises in Rare & Imported DVD's/CD's. 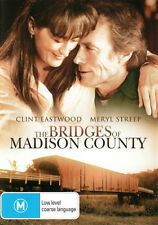 Collection of four classic Clint Eastwood films. He agrees to help and sets about teaching the people the art of self defence. Although reluctant to get involved at first, Kidd finally agrees when Harlan informs him that Chama has raided his own ranch while on a rampage through the county. Trending at AU $9.86eBay determines this price through a machine-learned model of the product's sale prices within the last 90 days. Actors: Clint Eastwood, Shirley MacLaine. Two Mules for Sister Sara. He eventually discovers that she is not a nun. Quick links. Director: Don Siegel. BROWSE ALL CATEGORIES. » You have been sent the wrong item. REGION 3 -- S.Korea, Taiwan, Hong Kong, Parts of South East Asia. REGION 1 -- USA, Canada. REGION 6 -- China. REGION 7 -- Reserved for Unspecified Special Use. REGION 0 orREGION ALL -- Discs are un-coded and can be played worldwide. It works on all Australian DVD players. You are also entitled to have the goods repaired or replaced if the goods fail to be of acceptable quality and the failure does not amount to a major failure. Two features. Also included are biker gangs, raunchy humour and bold sexuality featuring both the elderly and orang-utans. Note this is Region 2 4. DVD & BLU RAY. PlayStation VR. HONKYTONK MAN. REGION 4 AUSTRALIA AND NEW ZEALAND ONLY. HEARTBREAK RIDGE = NEW & SEALED R4 DVD = Clint Eastwood. Clint Eastwood is Gunnery Sergeant Tom Highway, career Marine and combat veteran. He is a man whose life has been defined by war. Korea and Vietnam taught him how to survive. REGION 4 AUSTRALIA & NEW ZEALAND ONLY. make Supersized seem small. » You have been sent the wrong item. Region Information. Quick links. BROWSE ALL CATEGORIES. Add to Favorites. Up for sale is Changeling in plastic on DVD region 4. This item is pre-owned and has signs of previous use, but this does not affect the purpose or the use of this product. THE OUTLAW JOSEY WALES. REGION 4 AUSTRALIA & NEW ZEALAND ONLY. 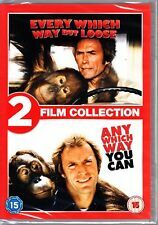 5 Film Collection Dirty Harry R4 DVD New Dirty Harry Dead Pool Enforcer Magnum Force Sudden Impact. They include: Dirty Harry, Dead Pool, The Enforcer, Magnum Force, and Sudden Impact. 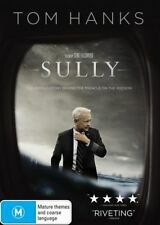 Cast: Clint Eastwood, Andrew Robinson, Liam Neeson, Sondra Locke, Tyne Daly. CLINT EASTWOOD. 8 Disc Boxset. Genuine studio release item. THE COLLECTION. Two Mules For Sister Sara. Coogan's Bluff. There are no wars to fight. But Gunnery Sgt. 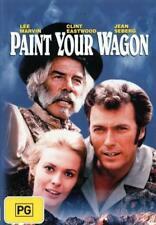 Tom Highway (Clint Eastwood ), a dog-faced relic of past wars, still has a lot of fight in him. Clint Eastwood (Gunnery Sgt. Tom 'Gunny' Highway). Heartbreak Ridge. Clint Eastwood, Jack Ging, Marianna Hill, Mitchell Ryan, Verna Bloom. Clint Eastwood. High Plains Drifter. Primary Genre. Theatrical Information. 101 minutes. 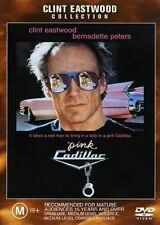 Hello and welcome to my online store Today on offer Pink Cadillac - DVD Brand new & Sealed please enlarge photos for a closer look Please See My Other Items For more DVD's. He was where he shouldn’t have been and saw what he shouldn’t have seen. Now, who will believe the word of a career thief and ex-con?. Who will trust Luther Whitney when he says he saw a woman killed – and that the man responsible for her death is the President of the United States?. What you say could develop into a claim of defamation and subsequent court order. WAR, WESTERN. DVD categories include If there is a problem, we can work together to resolve the problem. We will make every attempt possible to resolve the issue if we made a mistake (it happens). Dom Hemingway DVD R4. Dirty Girl (DVD, 2012) R4. NCIS: S13 Series / Season 13 DVD R4. We source our products from major mainstream Australian distributors, taking care to bring you the most popular toys, movie titles and latest releases. This Item is a Region 4 DVD. REFER TO REGION 4 LIST HERE. Exploding with blistering shoot-outs, dynamic performances and atmospheric cinematography, it's an undisputed classic of the genre. A mysterious gunman (Eastwood) has just arrived in San Miguel, a grim, dusty border town where two rival bands of smugglers are terrorising the impoverished citizens.